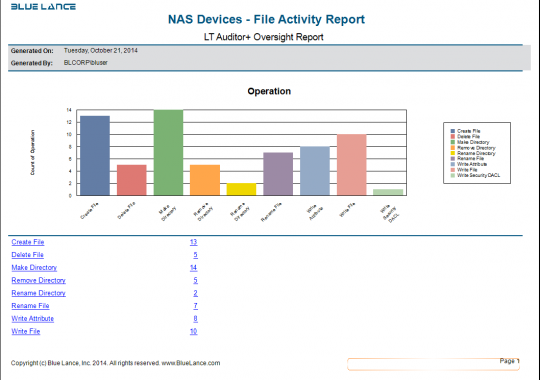 LT Auditor+ 2013 for NAS Devices is designed to provide detailed auditing and monitoring of NAS file system activity—delivering clear, concise, actionable intelligence. 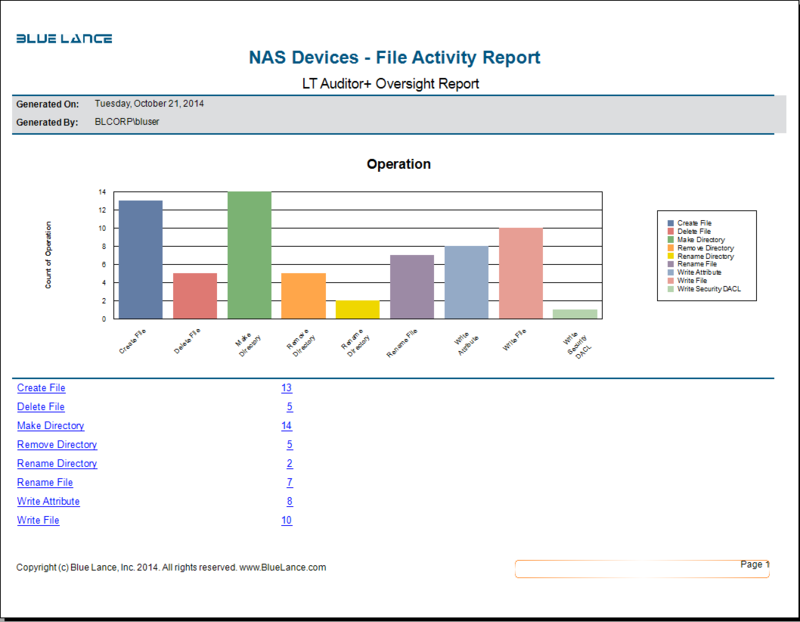 LT Auditor+ 2013 for NAS Devices deliver a bullet-proof audit trail, through easy-to-read forensic reports and real-time alerts, to precisely identify Who did What, from Where and When. 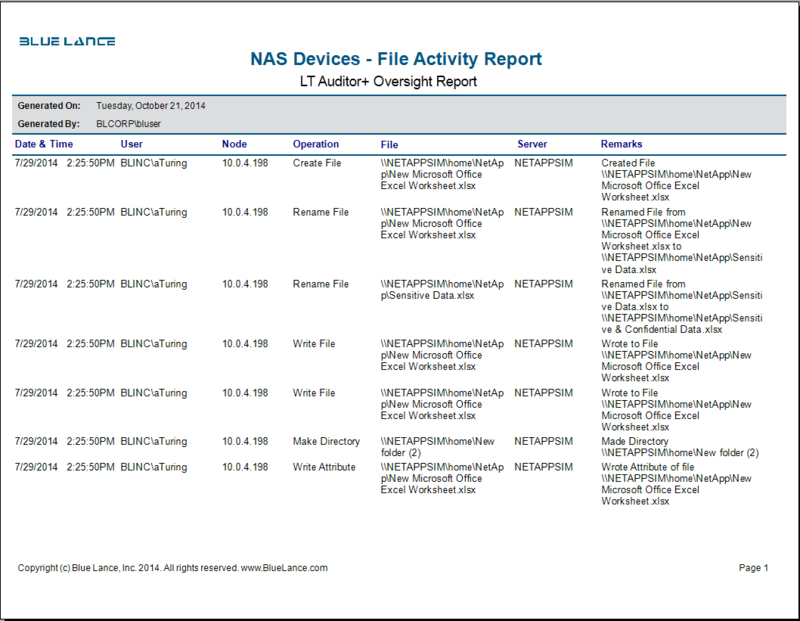 Quality Data: Removes the complexity from cryptic ebent logs by providing clear, concise information on who did what from where and when on your NAS device in human readable format. 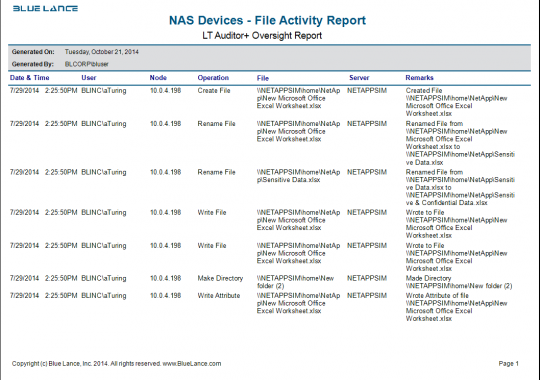 Permission Changes: Monitor when DACL permissions to sensitive files are changed. This is important to secure the principals of ‘Least Privileges’ and ‘Need to Know’. 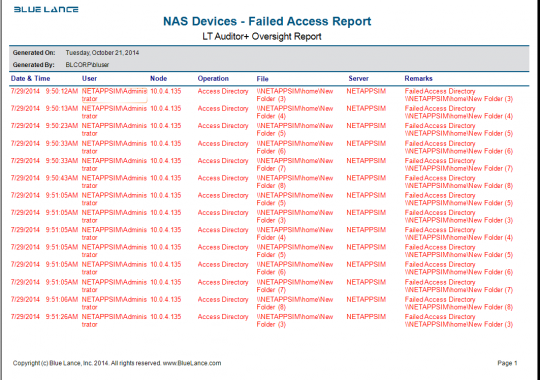 Simplified Management: Provides the ability to audit and monitor multiple NAS devices in the environment from a single console. 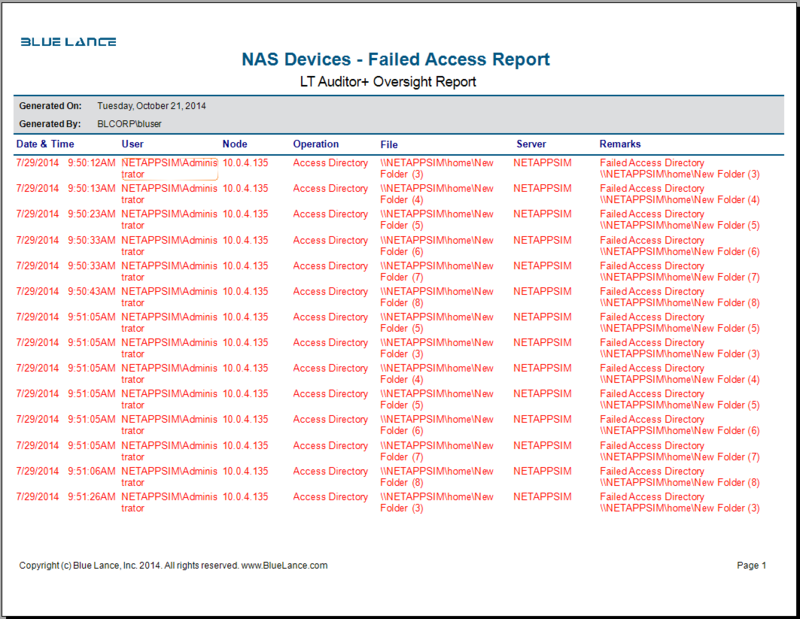 File Access: Captures the source IP address/workstation name for all access to critical files and folders on a NAS device file systems. This ensures accountability as you know who exactly is accessing critical or sensitive information and also acts as deterrent to prevent insider threats.